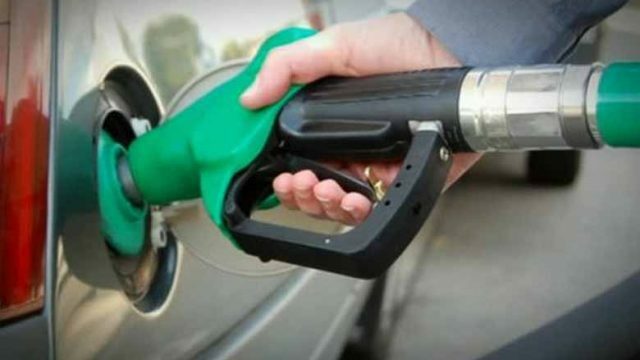 ISLAMABAD: With the approval of deregulation of Oil Marketing Companies and Dealers margin on high-speed diesel (HSD) by the government, people across the country might find the price of diesel vary from pump to pump during the next month of November. Copies of official documents available with Pakistan Today disclose an end to uniform pricing mechanism of diesel (HSD) due to the deregulation of OMCs and Dealers margin on HSD approved by the economic coordination committee (ECC) of the cabinet. And, with effect to the ECC decision, consumers of diesel are at the mercy of OMCs and Dealers regarding the determination of per litre price. 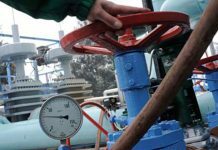 “Although due to deregulation of margins on HSD, the price of HSD would vary from pump to pump across the country, however, it is expected that people would prefer to buy from the filling station offering cheaper and efficient product,” said documents. Documents further reveal that the government is all set to end the mechanism of uniform price of petrol in the country after three months as the process has been initiated in this regard. Sources in power corridors aware of the fallback said the government in a bid to benefit the OMCs and the dealers approved deregulation of HSD margin and with effect, to this decision the consumers across the country will find different prices of diesel in the open market from pump to pump from the month of November 2017. They said the ECC has taken this decision and set aside the strong opposition and concerns raised by the Ministries of Finance, and Planning, FBR and OGRA regarding the deregulation of margin on diesel. “This decision of deregulation of margin on HSD will annually cause the additional burden of around Rs 30 billion on national exchequer and Rs 40 billion on the already over-burdened innocent masses,” said sources, adding, that HSD fuel is mainly used in transportation, agriculture, power and government sectors. Change in the pricing policy of HSD shall have a far-reaching impact on the economy and the public. The sources also said that Prime Minister Shahid Khaqan Abbasi played a key role in the approval of deregulation of OMCS and Dealers margin on HSD from the ECC. They said a relaxation in the condition to keep the stocks of petroleum products for 30 days instead of 20 days has been made by the ECC in its decision on deregulation of HSD margin. Though there would be a disruption in equalized pricing system of HSD across the country, however, the OMCs will keep receiving Rs 3 billion monthly in the name of keeping uniform prices of petroleum products. By stopping Oil and Gas Regulatory Authority (OGRA) to determine the HSD price from November 1, the Ministry of Energy has offered complete freedom and liberty to the OMC to set the price of diesel as per their sweet will, sources opined. Copies of official documents available with this scribe made a surprising disclosure about the stance of Ministries of Finance and Planning, Federal Board of Revenue (FBR) and OGRA regarding the deregulation of margin on HSD. They all informed the Economic Coordination Committee (ECC) of the Cabinet held on September 26, 2017, that there was no need to end the uniform pricing system of HSD. These ministries and authorities (FBR & OGRA) highlighted the possibility of cartelisation, high profits being earned by OMCS, and absence of downstream oil policy. The Oil and Gas Regulatory authority (OGRA) a staunch opponent of deregulation of margin on HSD said that the oil industry has declared very robust profits in recent years. Deregulation of margin may only add to the company profits at the expense of the consumers. The oil-giant PSO (Pakistan State Oil) and six other OMCs are earning attractive profits from their businesses as last year they have earned above Rs 33 billion heavy profit. It is our considered view that the best approach is to ask the industry to deliver enhanced 30 days stock cover and online inventory system, followed by incentives, said OGRA. “It is our opinion that the dealers will cartelise at the district/city level and will fix retail prices at the expense of the consumers,” OGRA said. It is to note here that earlier there was a mechanism to collect GST from OMCs and Dealers. But, with an end to uniform pricing mechanism, OMCs and Dealers would save the GST in their pockets. More, IFEM (Inland Freight Equalization Margin) is the system through which the petroleum prices of MS, HSD and LDO (light Diesel Oil) & SKO (kerosene) are kept uniform at the 22 oil storage depots of the country. And, OMCs receive Rs5b for the supply of petroleum products to all parts of the country to keep so that a uniform price mechanism functional/effective. Surprisingly, the uniform price mechanism has come to an end. But, OMCs will keep receiving Rs 3 billion monthly in the name of keeping the prices of petroleum products at a uniform/similar level. More, in the past, such incentives have not remained successful as planned i-e deemed duty (7.50 per cent) for refinery upgradation in 2002 is a recent example in which the incentives were provided before the up-gradation. Furthermore, the price of high octane blended component (HOBC) was deregulated during last year mainly because of the support of the then petroleum minister Shahid Khaqan Abbasi. And, after the deregulation of HOBC price, the OMCs increased their profit by Rs 12/litre. The OMCs and Dealers margins on MS (Petrol) and HSD (Diesel) are revised annually under-regulated environment based on the consumer price index (CPI) as approved by ECC on October 30, 2014.